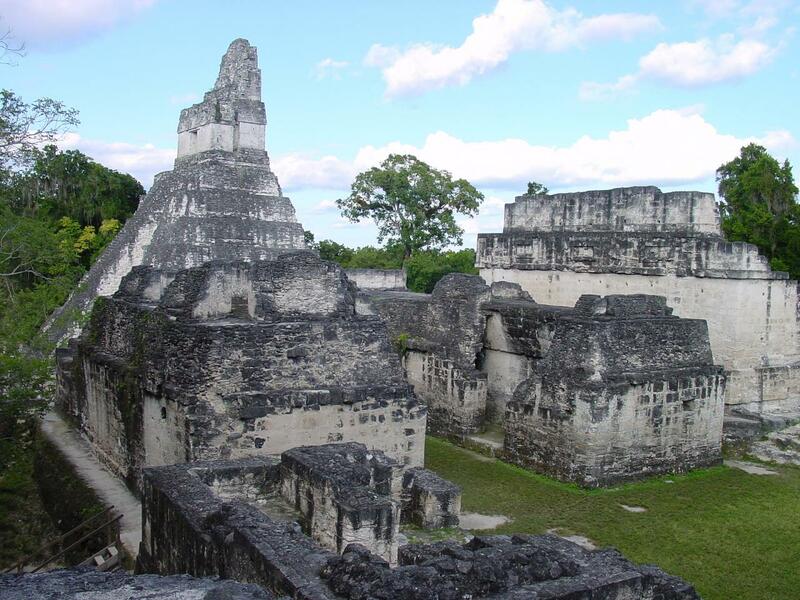 "The Long Count calendar fell into disuse before European contact in the Maya area," said Douglas J. Kennett, professor of environmental archaeology, Penn State. "Methods of tying the Long Count to the modern European calendar used known historical and astronomical events, but when looking at how climate affects the rise and fall of the Maya, I began to question how accurately the two calendars correlated using those methods." "With only a few dissenting voices, the GMT correlation is widely accepted and used, but it must remain provisional without some form of independent corroboration," the researchers report in issue of Scientific Reports. The Long Count counts days from a mythological starting point. The date is comprised of five components that combine a multiplier times 144,000 days – Bak'tun, 7,200 days – K'atun, 360 days – Tun, 20 days – Winal, and 1 day – K'in separated, in standard notation, by dots. Archaeologists want to place the Long Count dates into the European calendar so there is an understanding of when things happened in the Maya world relative to historic events elsewhere. Correlation also allows the rich historical record of theMaya to be compared with other sources of environmental, climate and archaeological data calibrated using the European calendar. The amount of carbon-14 in the atmosphere is incorporated into a tree's incremental growth. Atmospheric carbon-14 changes through time, and during the Classic Maya period oscillated up and down. The researchers took four samples from the lintel and used annually fluctuatingcalcium concentrations evident in the incremental growth of the tree to determine the true time distance between each by counting the number of elapsed rainy seasons. The researchers used this information to fit the four radiocarbon dates to the wiggles in the calibration curve. Wiggle-matching the carbon-14 dates provided a more accurate age for linking the Maya and Long Count dates to the European calendars. "The complication is that radiocarbon concentrations differ between the southern and northern hemisphere," said Kennett. "The Maya area lies on the boundary, and the atmosphere is a mixture of the southern and northern hemispheres that changes seasonally. We had to factor that into the analysis." Events recorded in various Maya locations "can now be harmonized with greater assurance to other environmental, climatic and archaeological datasets fromthis and adjacent regions and suggest that climate change played an important role in the development and demise of this complex civilization," the researchers wrote. Other Penn State researchers on this project were Brendan J. Culleton, post doctoral fellow in anthropology; Soumaya Belmecheri, research associate, meteorology; Heather V. Graham, graduate student in geosciences; Katherine H. Freeman, professor of geosciences; and Lee Newsom, associate professor of anthropology. Other researchers were Irka Hajdas and Gerald H. Haug, Swiss Federal Institute ofTechnology; Simon Martin, University of Pennsylvania Museum; Hector Neff, California State University Long Beach; Jaime Awe, Institute of Archaeology, Belize; David L. Lentz, University of Cincinnati; Flavio S. Anselmetti, University of Bern; Mark Robinson, Louisiana State University; Norbert Marwan, Potsdam Institute for Climate Impact Research, Germany; John Southon, University of California Irvine; and David A. Hodell, University of Cambridge, UK. The National Science Foundation and the German Science Foundation supported this work.